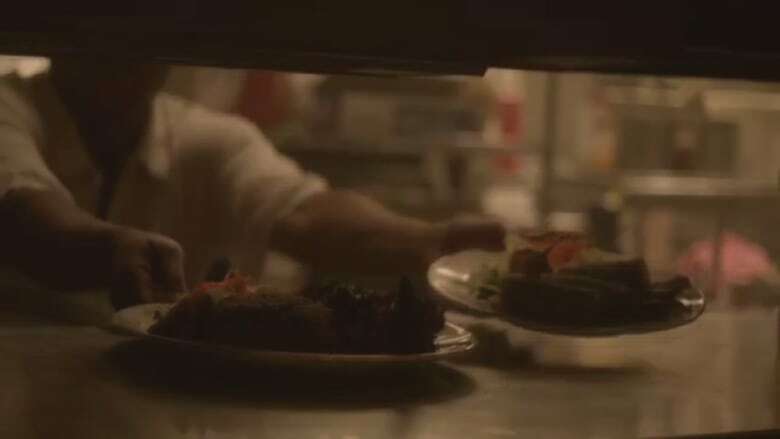 A Toronto restaurant is getting international attention after being prominently featured in one of Rihanna's two new music videos for "Work" with Drake -- a film shoot the co-owner admits he was initially reluctant to agree to. Edward Pottinger, who co-owns the Caribbean eatery the Real Jerk with wife Lilly, says the video's creators called him about two weeks ago on a Monday asking if they could shoot there for about 24 hours on the Friday of that same week. 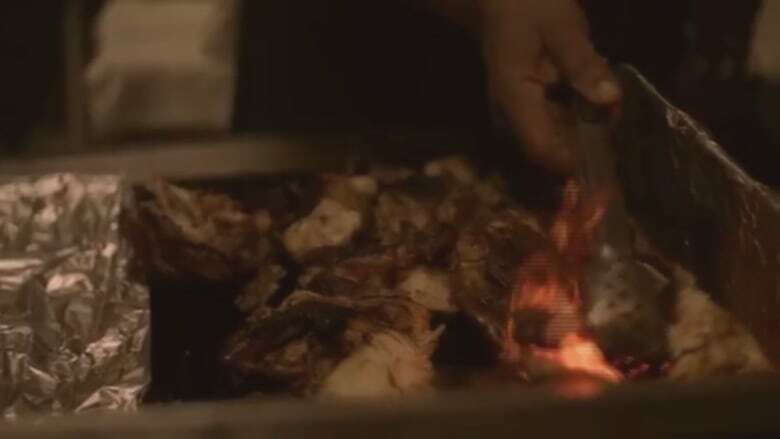 Friday is one of the busiest days for the Real Jerk and Pottinger, who was in his native Jamaica at the time, wanted to make sure his customers came first. "They had to convince me to do it, because I don't really give up a regular restaurant night to shoot movies or video clips," says Pottinger. "I value my customers, who come from all over.... They come from far away, so when they come and see a closed restaurant, it's not really nice for them." But the "Work" team assured him they would feature the restaurant's trademark sign, with its backsplash of Pan-African colours and a smiling sun. "I realized how powerful it would be to have the name associated with us," says Pottinger. The video, which came out Monday along with a much racier alternate version, surpassed Pottinger's expectations. The Real Jerk sign is featured in the very first frame of the video as Rihanna, clad in a pink fur coat, gets out of a slick car along with Drake. The song's pulsating beats slowly kick in as they strut into the Real Jerk, where Rihanna and Drake join a smoky dancehall party. 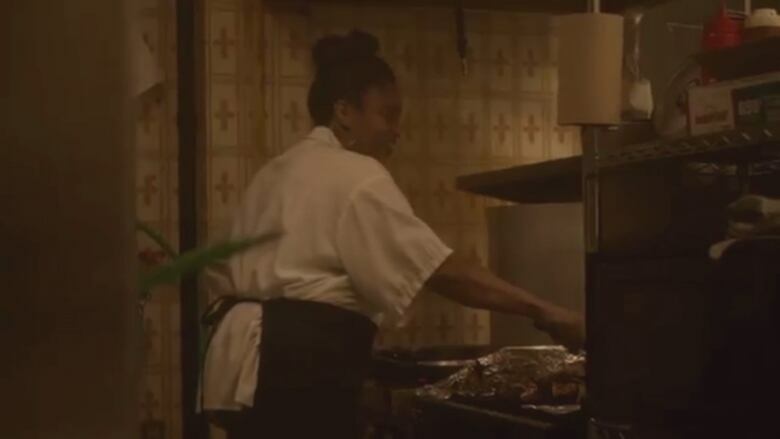 The video features shots of food from the restaurant and Lilly makes an appearance flipping jerk chicken and dancing in the kitchen. "I was really blown away by it," says Pottinger, who thought the Real Jerk sign would just be seen for a brief moment at the end of the video. "Drake always builds up Toronto and supports Toronto and this is a fine example." Pottinger says Toronto-bred Drake and the video's homegrown creator, Director X (who also produced Drake's "Hotline Bling"), had eaten at the restaurant before. Ironically, while the Real Jerk's food is seen in the video, it didn't actually cater the video shoot — much to the disappointment of Drake. "When he came he was actually a little disappointed that we didn't have food for him," says Pottinger. "But we did accommodate and we made some roti." Fans gathered outside, posting photos and video to social media, as the shoot went all night and into the wee hours of the morning. "They work really hard," says Pottinger. "All the dancers, all the production crew, Drake, Rihanna, they were there for 24 hours, from beginning until end." The Real Jerk, which first opened over 30 years ago, is known for its jerk dishes, its roti and stocks 60 to 70 varieties of rum. Pottinger says they've received many emails, phone calls and interview requests since the video came out. They've had movies and documentaries shot in the restaurant before "but nothing of this magnitude," he says. "We don't just sell food, we sell culture, and I'm very happy to share our culture of the Caribbean."